UltraCrete, from the award-winning Instarmac Group plc, can help! 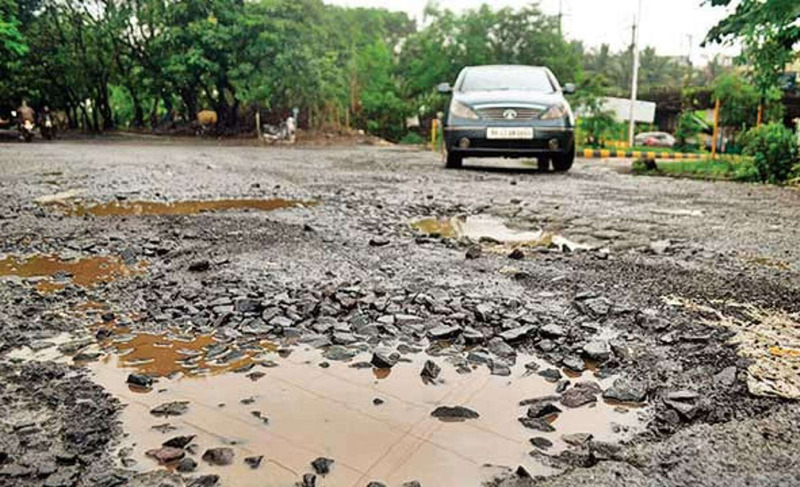 The Times of India has reported that as a consequence of heavy rainfall, a number of crater sized potholes have appeared along the NH 66, turning the much used road into a ‘death trap for motorists’. What’s more, these dangerous potholes are causing severe congestion as motorists attempt to navigate their way through pothole riddled roads - some motorists have reported daily delays of up to 3 hours. Worryingly, it’s not just happening here! Potholes are causing chaos on many expressways across India – quite a disruption for a population of 1.3 billion. Road repair is a topical issue in India with the National Highway Authority of India (NHAI) still actively working on their 2012 US$70 billion road highway expansion programme. As well as building new roads and bridges across India, the programme also involves repairing potholes on the existing highways and this is where UltraCrete can help! UltraCrete Permanent Pothole Repair® is a first time permanent repair which has been continuously developed over the past 40 years and used all around the world with excellent results. It’s used on a daily basis in many countries around the world including Malaysia, Japan, Africa and most of Europe. There are many cold lay asphalt repair products available, but Instarmac backs up its technical claims! Strength is gained by compaction becoming stronger the more traffic travels over it, making it perfect for heavily trafficked roads and areas of turning and braking. Due to its hardy nature, UltraCrete Permanent Pothole Repair® is also suitable for repairing damaged asphalt in car parks, footpaths, cycle paths, railway stations and driveways – potholes don’t just appear in roads! With a skid resistance value (SRV) of ≥ 88, UltraCrete Permanent Pothole Repair® provides a safer repair for cyclists and other road users as the repair is compatible with the existing road surface and offers maximum grip for tyres – even in wet weather. Applied in 3 easy steps – clean, pour, compact – UltraCrete Permanent Pothole Repair® can be applied in all weathers – it can even be used in freezing temperatures. Furthermore, potholes repaired with UltraCrete Permanent Pothole Repair® can be trafficked instantly making it ideal for environments where potholes are currently causing severe delays to motorists.